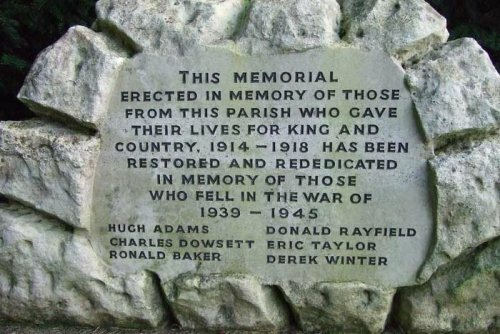 Hugh Charles Adams was born in Nottingham on 16th April 1918, son of John Coker Adams (barrister-at-law) and Grace Adams (née Clough) of Chaddleworth, Berkshire, formerly of Meadow Green, Welwyn Garden City. He attended Cheam School, Surrey before going on to Sherborne School (The Green House) from September 1932 to December 1936 where he was House Prefect, in the 2nd XI (1936), 1st Class Gym and Gym Squad (1935-36). On leaving he went into Engineering and moved to Chathill Cottage, Lower Tanbridge Lane, Oxted, Surrey. Adams joined the RAFVR in January 1938. 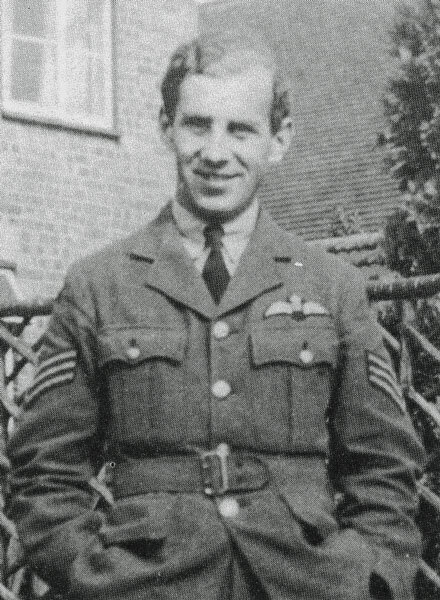 Called up on 1st September 1939, he completed his training and joined 501 Squadron on 17th July 1940 as a Sergeant-Pilot. He was flown to France, with other squadron personnel, in a Bombay transport on 11th May 1940. The aircraft crashed when it landed at Betheniville. Adams was among those injured and sent home. 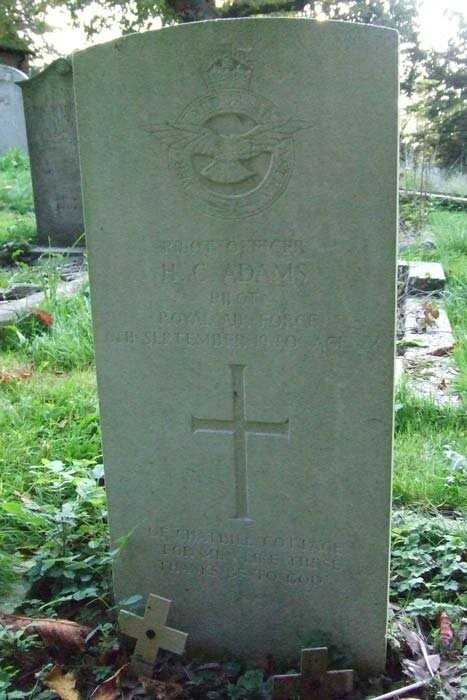 He rejoined 501 Squadron on 17th July 1940. Adams was 22. He is buried in St Peter’s churchyard, Tandridge, Surrey. His commission was gazetted on the day he was killed and in the casualty list he was down as ‘Killed in Action’ as a Sergeant. Additional research courtesy of Sherborne School Archives.